With CEREC® technology, we can make and place porcelain restorations in a single visit to our office in Turlock. Our CEREC® machine designs and mills a porcelain restoration — dental crown, inlay, or onlay — in about an hour, without needing to come back for a second appointment or having to wear a temporary restoration. We are proud to offer the new CEREC® One-visit porcelain restorations! We can prepare, design, and deliver a new crown, inlay, or onlay in about an hour! No impressions, no temporaries, and no second appointments are needed! Superior strength, outstanding durability, beauty, and conservative preparations are all benefits of the new One-visit CEREC® restorations. This new alternative is created with CEREC® porcelain material. This porcelain material is more like our natural enamel than any restorative dental material that has ever been created. Not only does it wear like a natural healthy tooth, it looks natural and feels natural as well. Best of all, the preparation of the restoration allows us to conserve much more of your healthy tooth structure than we could with conventional restorations. 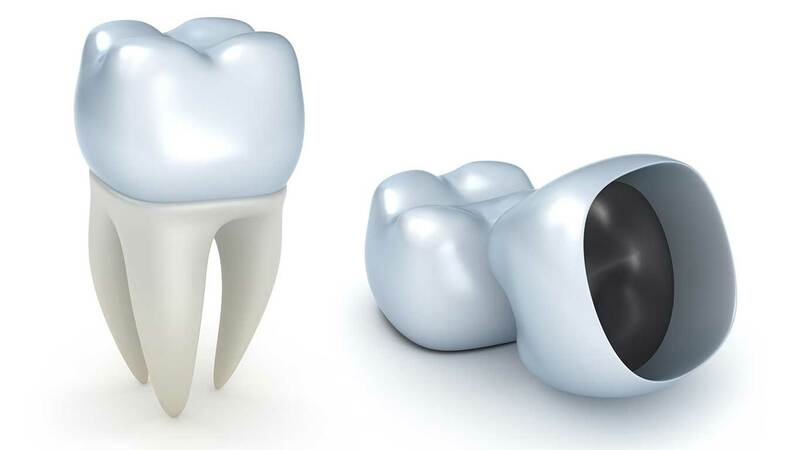 The porcelain is much kinder to gum tissues and eliminates the “black line” that often appears with metal-based crowns. CEREC® restorations provide beauty and health all in one simple office visit! As you may know, a crown restores and covers a tooth on all surfaces. Inlays and onlays are restorations that fill in the decayed areas or replace an old filling. They fit your prepared tooth perfectly like a piece in a jigsaw puzzle. They offer a longer lifespan for the tooth because we can conserve more of your natural healthy tooth structure than is possible with other types of restorations. For teeth with cracks and fractures, the bonding procedure actually strengthens the tooth structure up to 105 percent! The most noticeable difference between CEREC® restorations and traditional restorations is the ability to match the natural shade of your smile and achieve natural beauty with CEREC® porcelain. The most important benefit CEREC® restorations offer is the strength they add to a tooth. CEREC® restorations bond to the tooth’s natural enamel, creating strength from within the tooth. CEREC® restorations also allow the dentist to be more conservative when preparing the tooth, saving valuable healthy tooth structure. You can have old silver fillings replaced in one office visit with natural-looking CEREC® restorations, made from a durable porcelain material. A crown, inlay, or onlay in about an hour? You bet! CEREC® restorations are time-friendly. With CEREC®, a single restoration can be prepared and delivered in about an hour. You used to need two appointments to get a crown: one visit to prepare the tooth and one visit to deliver the crown. For most of us with very hectic schedules, CEREC® restorations are ideal. They’re fast, strong, beautiful, and healthy alternatives to traditional restorations. To learn more about CEREC® restorations, contact our Turlock cosmetic and implant dentistry office and schedule a consultation with our dentist today. I am completely pleased with my visit. I have extreme anxiety with having to visit the dentist and your team was really understanding. I did not feel embarrassed but very taken care of with compassion and gentleness. Seeing me at the last moment at the end of the day then staying late and working on one last costumer for almost two hours I would say that they all exceeded my expectations as a regular dentist office. I was impressed how detailed my hygienist is and she did a great job w/o any pain. the dentist is a kind guy and we really appreciate the care he has done for me and even our kids! they had nothing but praises about the experience and weren’t afraid at all. I would like to thank Dr. Eggleston for getting back to me over the weekend and taking care of my issue on Monday morning!!!! Staff is always so pleasant and Dr. Eggleston well he is pretty good himself. THANK U EVERYONE!!! I am not toothless anymore!